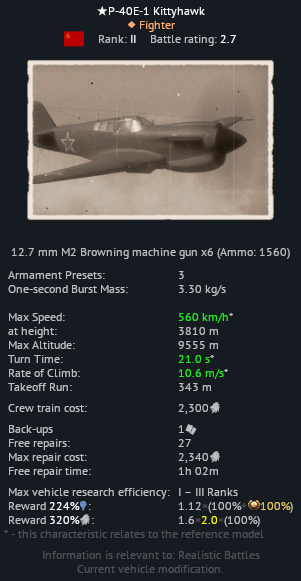 Currently both the US and USSR P-40E aircraft have the wrong amount of ammunition for their 6x .50 cal M2 Browning HMGs. 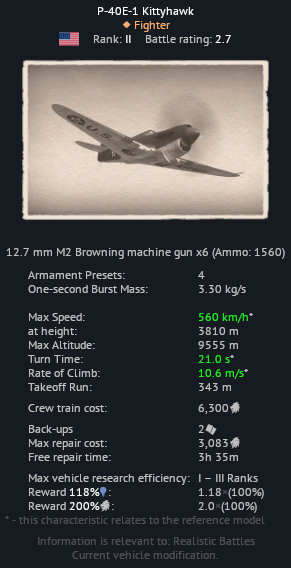 They both have 1560 total rounds of ammunition, but should actually have 1410 rounds total. 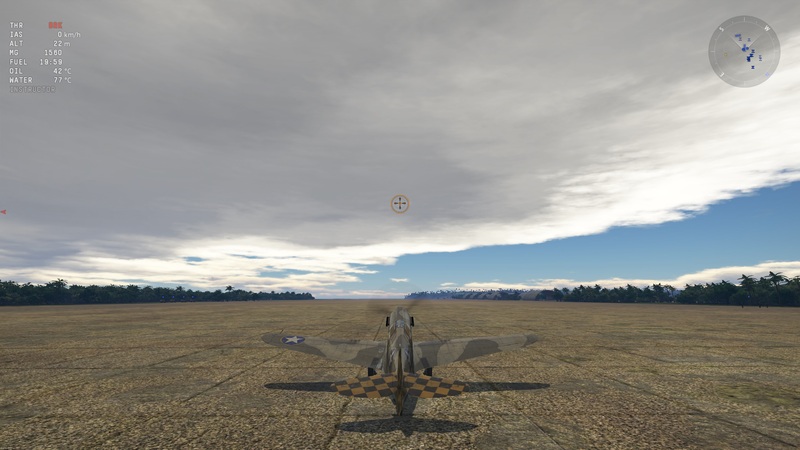 Reduce the amount of ammunition for the P-40E to 1410 rounds of ammo with 235 RPG. Alternatively, give it the max configuration of 1686 rounds total (2x No.1 gun w/ 312 RPG, 2x No.2 gun w/ 291 RPG, 2x No.3 gun w/ 240 RPG). Page 10 of "Handbook of Operation and Flight Instructions for the Models P-40D and P-40E Pursuit Airplanes, Technical Order No. 01-25CF-1, April 25 1941"
Thank you for your report, I will investigate. Your Bug Report is submitted.